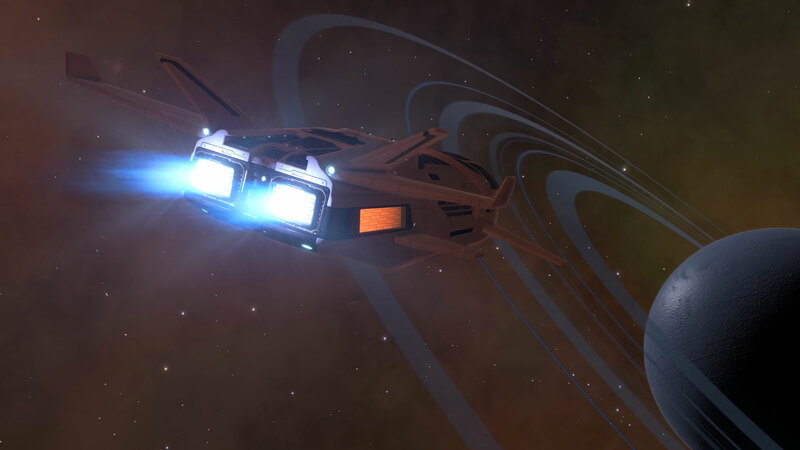 Not everyone is fully up on where Elite:Dangerous is now with its ongoing saga of hunting for alien life, or the rich history behind it. 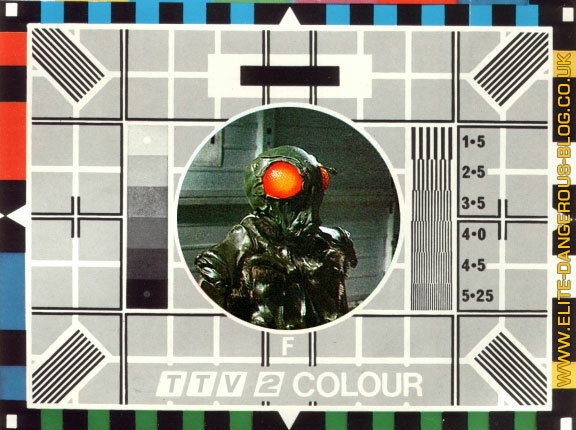 Back in 1984 when Elite hit the BBC Micro, the “bad guys” were an alien race known as the Thargoids. Beyond that, very little was known. They flew octagonal saucer ships and would drag unsuspecting commanders out of the hyperspace tunnel (also called “witchspace”) and attack the commander in the deep black gulf of space between stars, where no help was available. Unless you were quick to fight or flee, it was certain death for most ships. The sight of their saucers was feared across the galaxy! 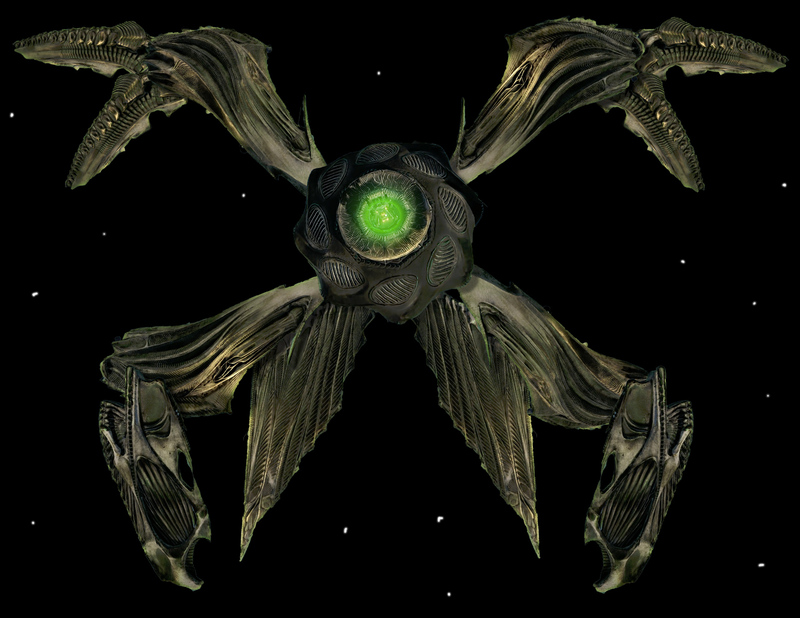 A decade or so later, in Frontier and Frontier 2 the lore of this race expanded and we found out that the Thargoids were an insectoid race with six limbs, resembling a praying mantis. 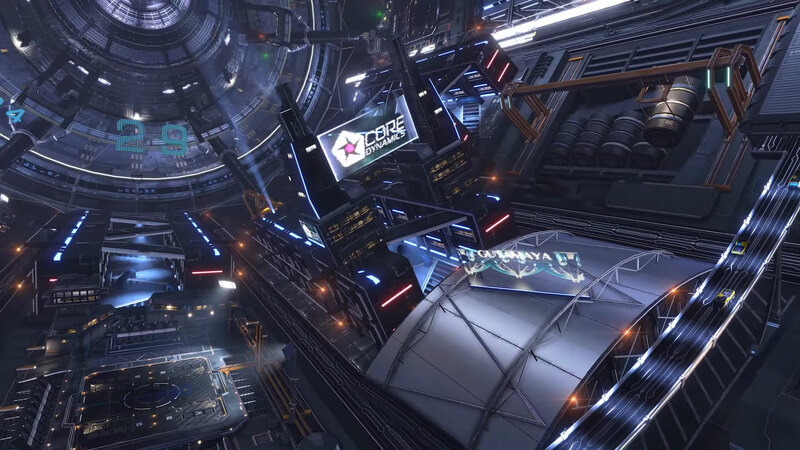 Since the release of Elite: Dangerous, and even before going right back to the 2012 KickStarter, the community has been speculating how and when the Thargoids might appear in the game. In March 2015, with the release of 1.2, Unknown Artefacts began to appear. These were being carried by Type-9 ships in a convoy in Strong Signal Sources. The NPC chatter was all about the "strange cargo" they carried. We also began to see them floating in space and they made a peculiar noise. You could pick them up in your ship's cargo scoop, but commanders found that their ship became rapidly damaged by holding one of these objects. What did the noise mean? There were two signals the UAs made. One was Morse code, which spelled out the system they were located. The other was a mystery until CMDR Mike Juliet Kilo realised the signal was co-ordinates and when plotted, drew his ship - a Vulture! 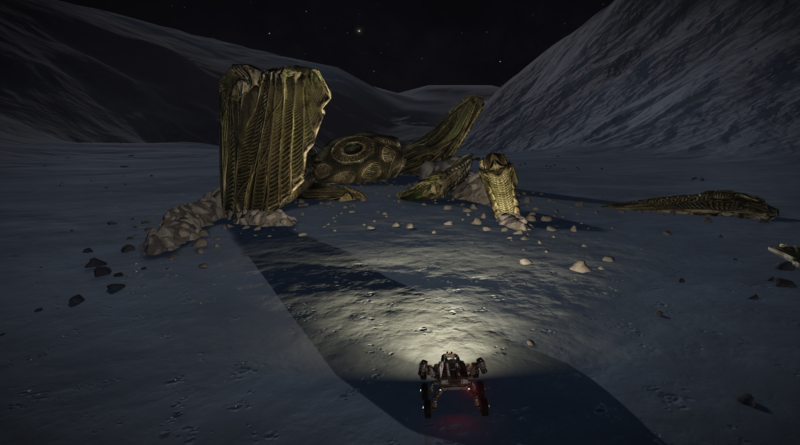 In January 2016, after the 2.0 release of the Horizons expansion, explorers found alien structures on the planet Merope 5C. These objects resembled barnacles or some kind of ocean shell, with crystalline spikes appearing to grow out of the ground around them. 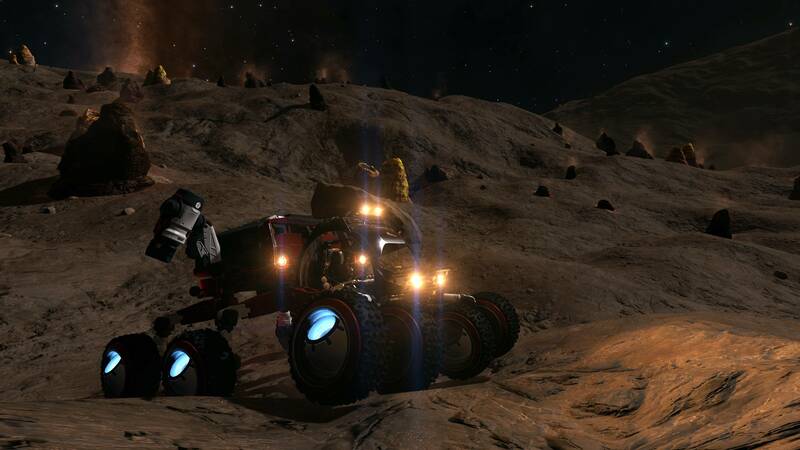 The spikes could be blasted into fragments with the SRV turret and one spike would yield a large emerald-like crystal, that when harvested using the SRV cargo scoop was revealed to be a meta material. Commanders who noticed that the Unknown Artefacts damaged their ship, tried various things to avoid having their ship destroyed while hanging on to the UA they'd discovered. However, the side-effect of their sheltering inside a station, was that the station itself took damage and station services would shut down. Enterprising CMDRs then found that by delivering and selling multiple UAs to a single station could shut it down and thus "UA Bombing" was born. Deliberate sabotage of stations using UAs as a weapon. Subsequently, it was discovered that the Meta Materials harvested from so-called "Barnacles" could repair UA-Bombed stations. More and more barnacles have been discovered in the systems around Merope and seem to favour systems inside nebulas. In May 2016, Horizons 2.1 shipped and explorers began to discover smaller unknown artefacts, which were named Unknown Probes. These objects were active rather than passive, like their predecessors. When scanned with a discovery scanner they would emit an electro-magnetic pulse, disabling nearby ships and then play a data signal. The signal was decoded in June by CMDR Muetdhiver and CMDR Wace. When fed through a spectrum analyser the audio produced a hazy diagram. When cleaned up, the signal is clearly some kind of iconography. 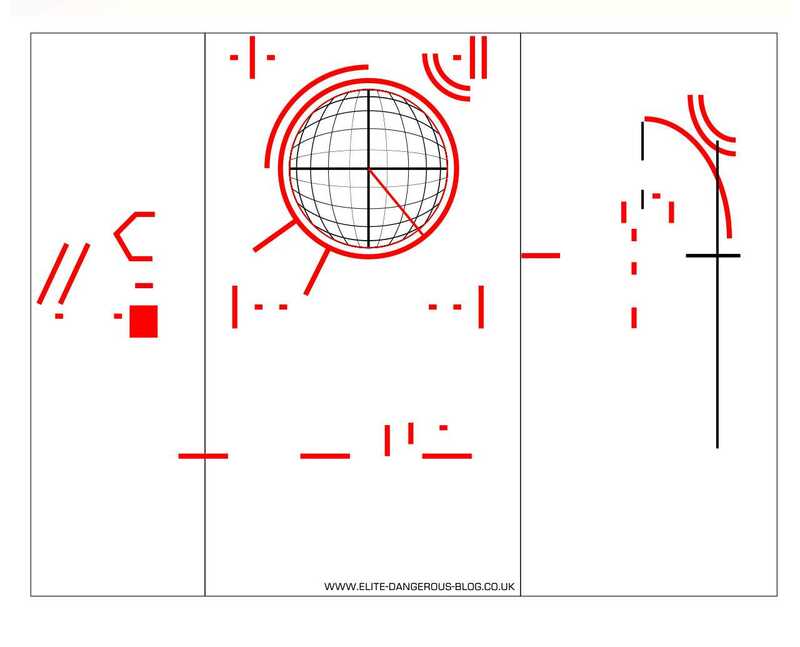 General consensus is that the diagram represents some kind of address, but no definitive meaning has yet been found. UPDATE: The guys on the Canonn Research Thread (#8) have noticed that the Unknown Probes appear to be seeking ammonia based worlds. During GamesCom in early August, Frontier's live streams were "interrupted" by alien signals, which were overlaid with binary and ASCII messages. Planet 9A at co-ordinates -26,3772°, 97,6982°. The wreck is very reminiscent of Ridley Scott/H.R. Gieger's Alien spacecraft. A bio-mechanical craft, laying in the bottom of a valley. The craft was huge – far bigger than any human ship in the game. 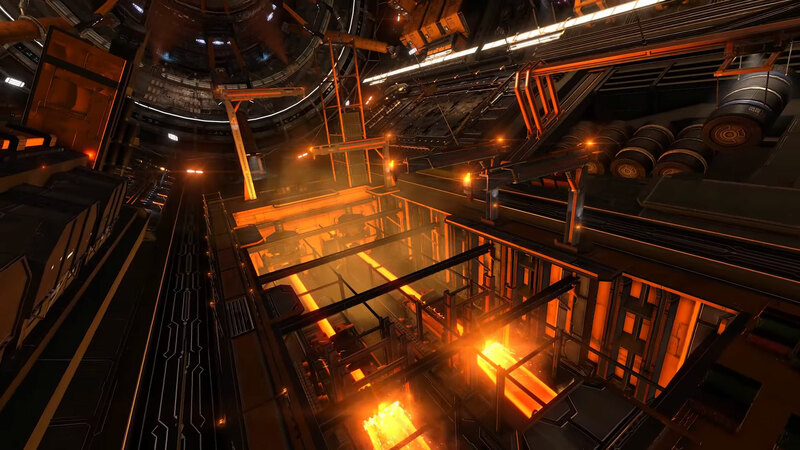 CMDR Niamhy has even mocked up what the ship may have looked like before it crashed. Scary. Well truthfully, nobody outside Frontier knows. The ship doesn't resemble the earlier Thargoid ships. Are they friendly or not? Again, we don't yet know. What transpires next is anybody's guess and may be decided by who finds them first and who shoots first (or not). The Beluga Liner - What do we know? The Beluga Liner has been a long time coming. The ship was first touted in Newsletter #10 back in August 2013 - three years ago! As you can see it's design has evolved from concept to implementation. 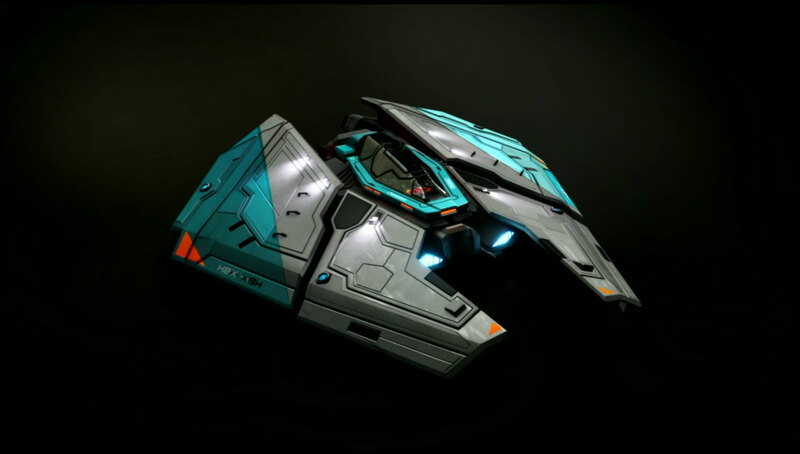 The only other ships we've seen in concept that are not yet implemented are the small passenger ship, the Dolphin and the huge trade ship, the Panther LX. Although we did get a sneak peek at the final Dolphin, but Frontier did not confirm it for 2.2. So how big is the Beluga Liner? 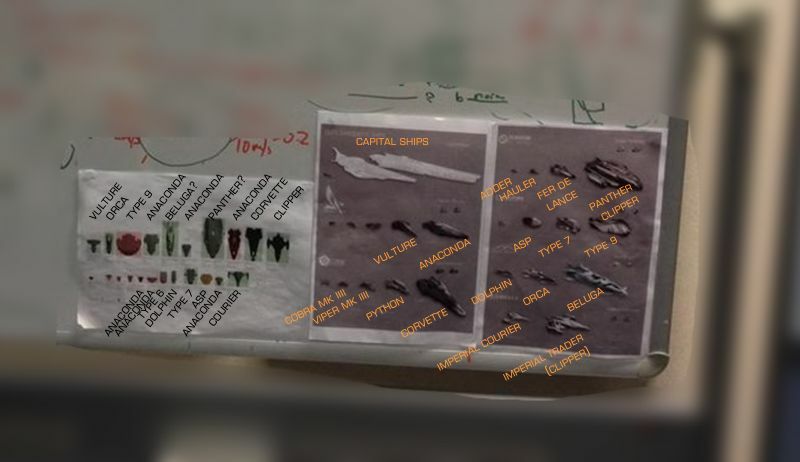 Frontier don't give out specifications - they let the players grab data from the game, however FDEV did post a photo from October 2014 that showed a whiteboard with the list of ships on it, which (even back then) included the Beluga and the Corvette. As you can see (with a bit of squinting) the Beluga is the same length as the Anaconda with a narrower body, the Beluga's tail making it slightly longer and a great deal wider. The Beluga Liner is primarily a passenger vessel. 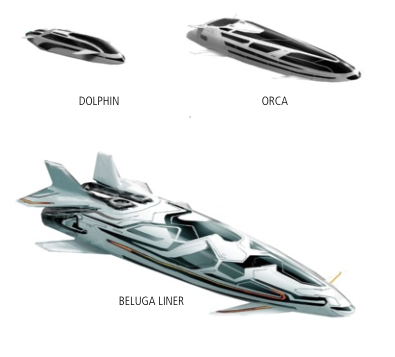 Like the Orca, it will be able to carry luxury and first class cabins that other ships won't, so the ship will be required to pursue a career in tourism and luxury travel, the profitable end of the new passenger industry. The internal slots may also be restricted to cabins rather than other equipment, just as the Orca. This should give you massive passenger capacity. And maybe some cargo capacity too? It has been confirmed that the Beluga will have five medium hard-points. That would give it comparable fire-power to an Imperial Clipper (I rate fire-power by multiplying the number of hard-points by their class size). 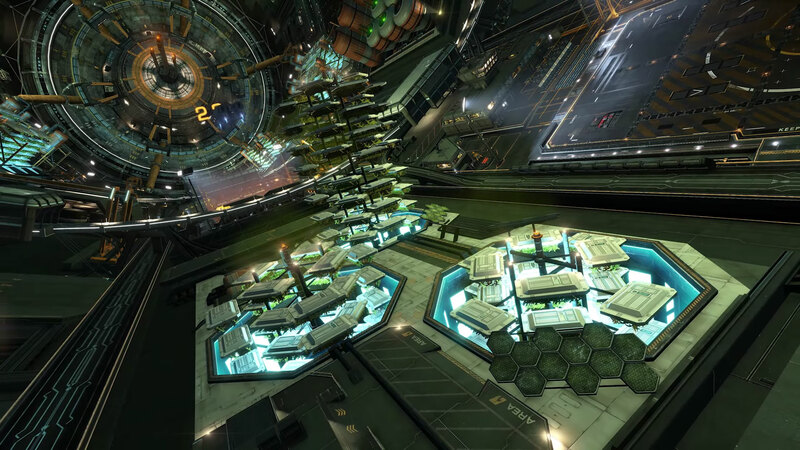 But, in addition to five Class 2 weapons, the Beluga will also have a fighter bay. So it won't be a warship, but it'll be far from helpless either. How fast is the Beluga? Well, not very. But a ship that size is not going to be a racer. Sandro said on Tuesday's Lave Radio interview that the Beluga was the same speed as the Hauler, so it will be 200M/s with 300M/s on boost. Now that is faster than an Anaconda and Corvette, but slower than the Cutter. He didn't comment on agility, but we would expect something similar to the Anaconda's flight model as the ships are of similar size. 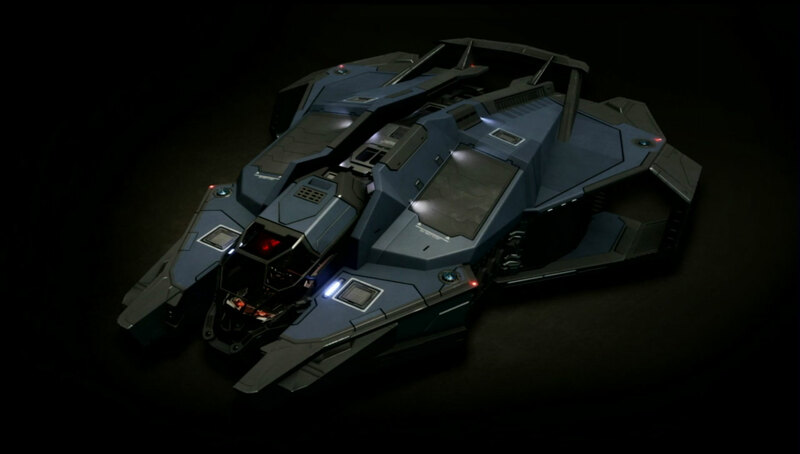 The ship will come equipped with a Class 7 FSD drive, but because of the Beluga's size, won't give a high jump range. I had some problems with the old blog limiting content for each post, so I have switched blog engines to something a bit more flexible. I will be back-filling the old site content over the next day or so. Believe it or not, the Elite: Dangerous Blog has had 569,192 hits in the last two years. Frontier had a busy week at GamesCom and made a lot of announcements about the coming features of 2.2 and revealed a lot more detail. 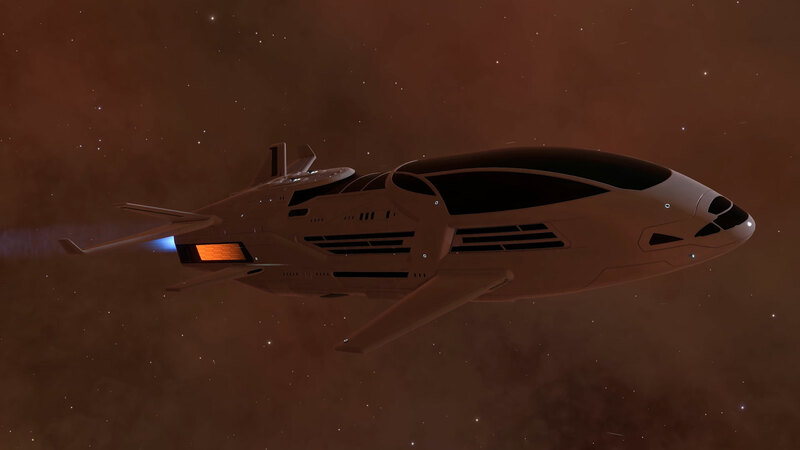 The 2.2 update will bring a new ship; the Beluga Liner, which as its name suggests, is a vast passenger liner. Somewhere between an Anaconda and Corvette in size, this large ship is aimed at servicing the new passenger missions. Also added is a new fighter craft, the Taipan; this joins the F63 Condor and Imperial Fighter as ship-launch-able fighters. 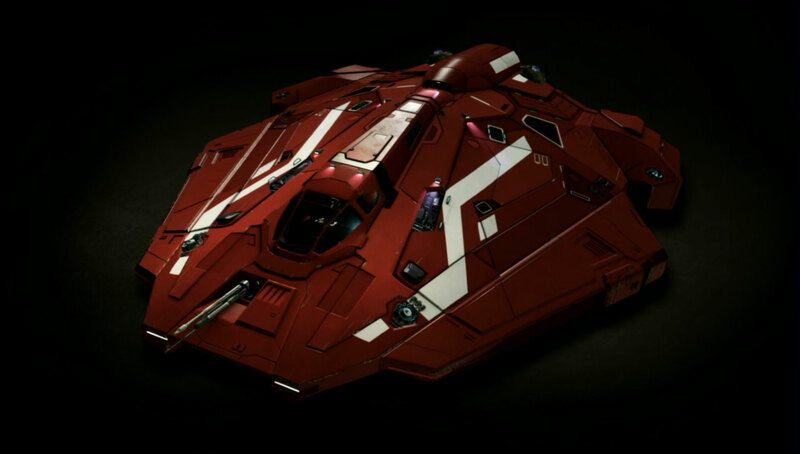 The Taipan is the “tank” of the three. With the fighters added to the main game, along with the Beluga, there are now 33 ships in game. 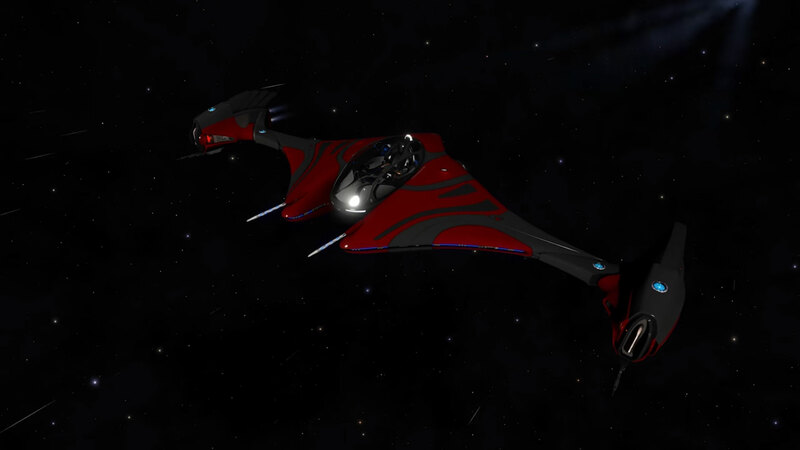 The reveal of the ship launched fighters show video of a BattleStar Galacica-esque ship launch and the power, speed and manoeuvrability of the new fighters – much more so than their CQC versions – we saw a Condor smack down a Python in very short order. But it was stated that we’d only be able to hold one fighter per ship. 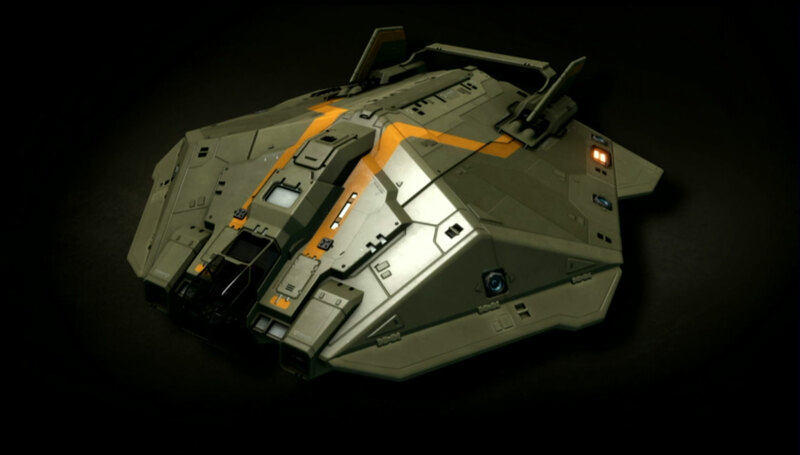 A Keelback was used for the demo and it was confirmed that Anaconda, Beluga Liner, Federal Corvette, Federal Gunship, Imperial Cutter, and Type-9 would all be fighter-bay capable mother-ships. 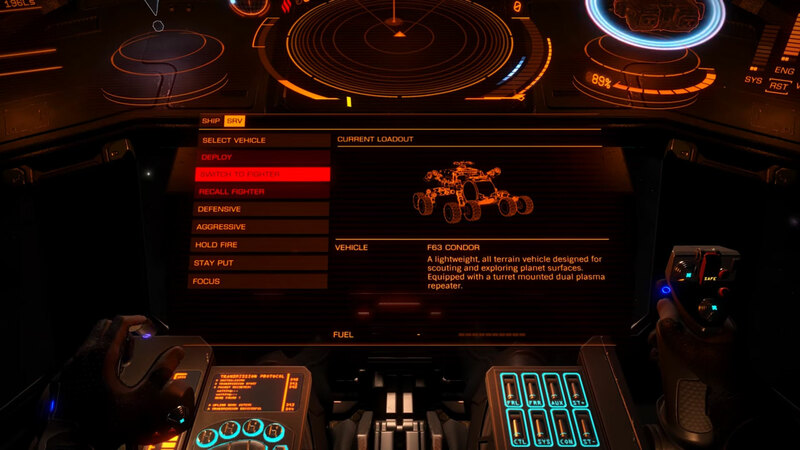 You will be able to “hot swap” between your fighter and main ship. Before you deploy your fighter without flying it yourself, you need to hire crew to fly them. 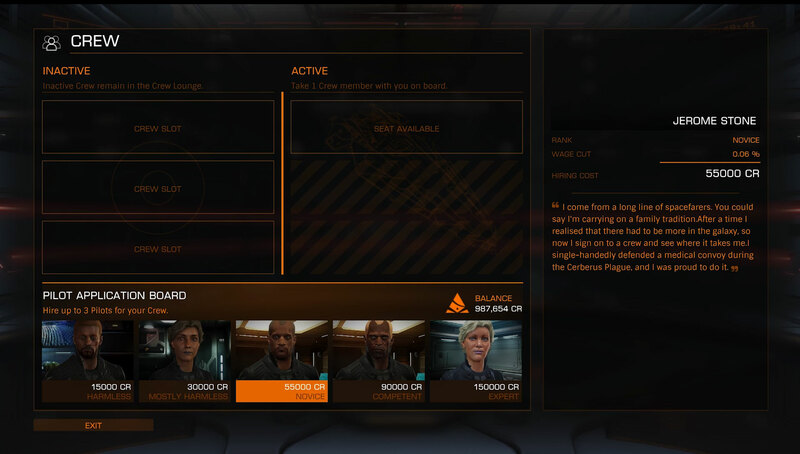 You can hire 3 crew and their skill level has a cost attached, although you can rank up your employees as they fly, so fighter pilot apprenticeships are going to be a thing. 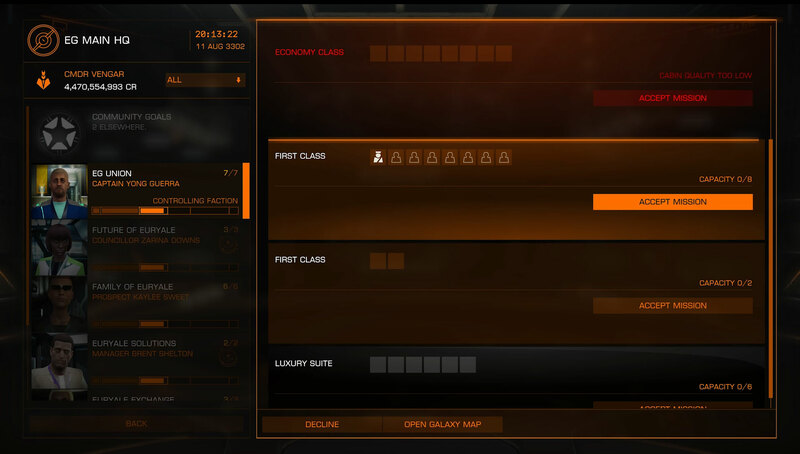 There is now a “crew lounge” in stations where candidates can be recruited. While you may have three crew employed, you can only take one of them with you. Stations will now have very distinct interiors, denoted by their economy so we now have refinery, high tech, tourism and agricultural stations in addition to the plain and palm tree versions. 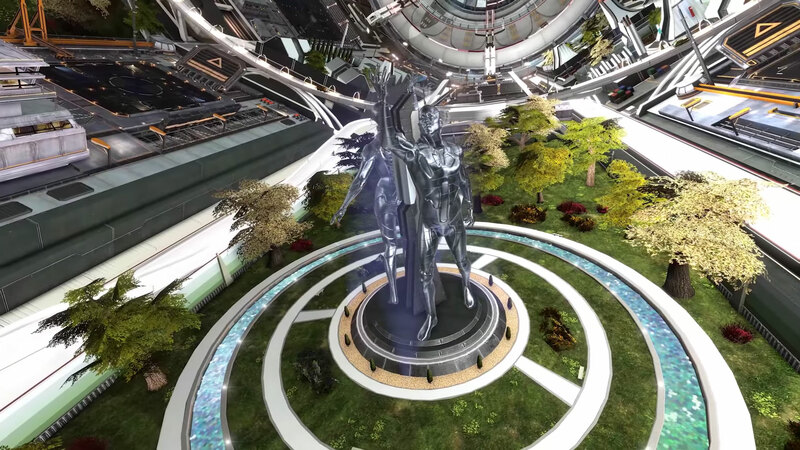 Frontier are also adding a bit more space furniture in the form of capital ship docks and military bases. They have also promised other unique sights including a ship graveyard from Elite lore. The galaxy map now has an amazing new feature that allows you to filter routes. Why is that great? Because now you can plot routes that only include scoop-able stars or via high security (safe) systems. Looking in the system map now shows the planet surface in exact miniature, displaying the terrain. 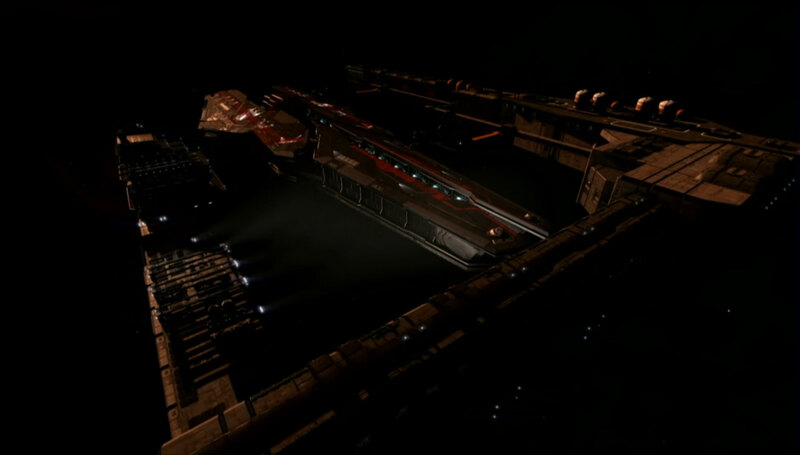 Why couldn’t we have had this when I needed to move 29 ships to SOL from Shinrarta? Well, now you can select a ship in storage in any station shipyard and for a small fee, relocate it instantly to your present location. What will the transfer fees be to Jacques I wonder? You could therefore fly to a remote location in your DBX with a high jump range, and then summon your Vulture. 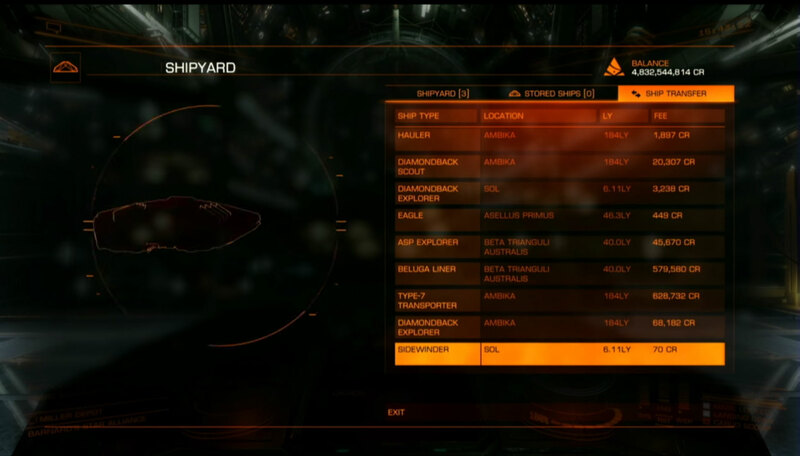 You can also remotely sell your stored ships. 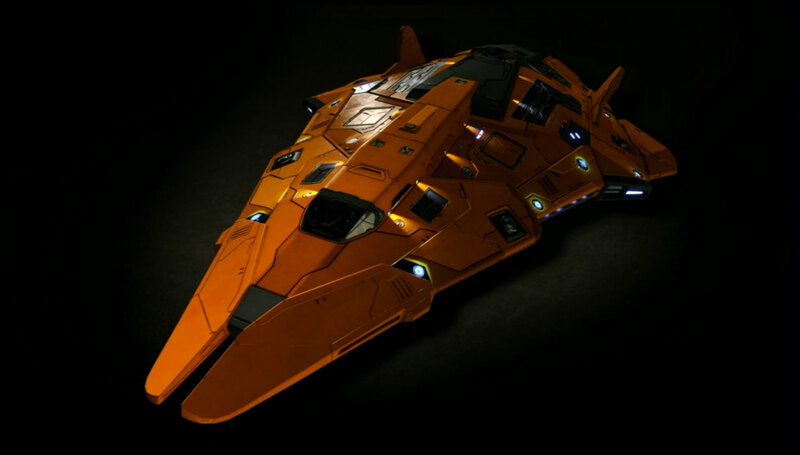 There will be a number of ship skins being added to 2.2 as well as (for the first time) SRV skins and skins for the new fighter-class ships. 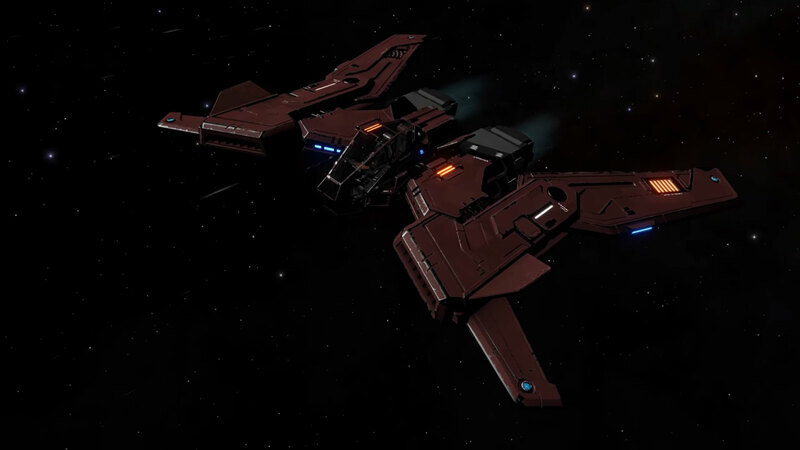 In addition, there are ship kits (wings and spoilers) for the Vulture, Asp Explorer, Viper Mk 3 and Python. So finally (big sigh) the Orca has a point to its existence! And with the new Beluga Liner (whatever that will cost) you can ferry bulk passengers around the galaxy, take passengers on luxury tours and visit the colourful corners of the galaxy and get paid. Passengers can travel in economy, first class or (with passenger vessels) Luxury suites. You’ll need the passenger ships specifically to carry VIPs around in first class and luxury cabins. Standard ships will take passengers but only in economy cabins. 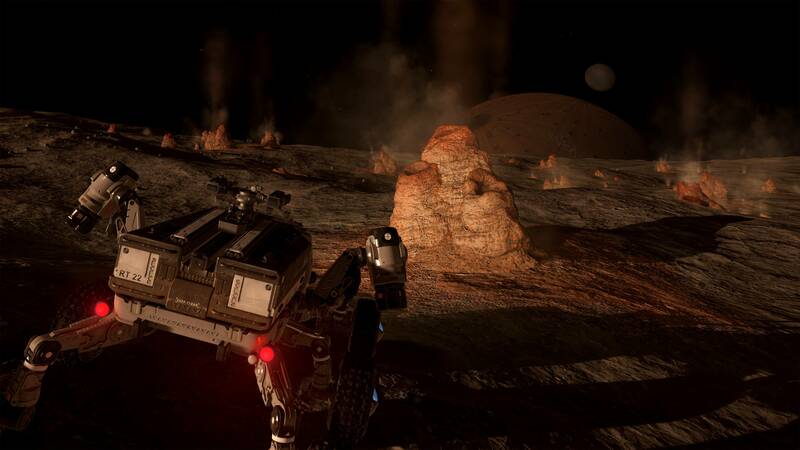 With 2.2 will come Volcanism, that means geysers, fumaroles and (hopefully full-blown volcanoes) and I hope, the ability to land on lava worlds. I've been jumping and scooping and honking. Yep, I'm onwards to Jacques station. Thing is though, when you only play the game for a few hours a day, the trip takes a long time. I've been leaving a trail of newly discovered worlds in my wake and haven't seen a soul in well over a week. 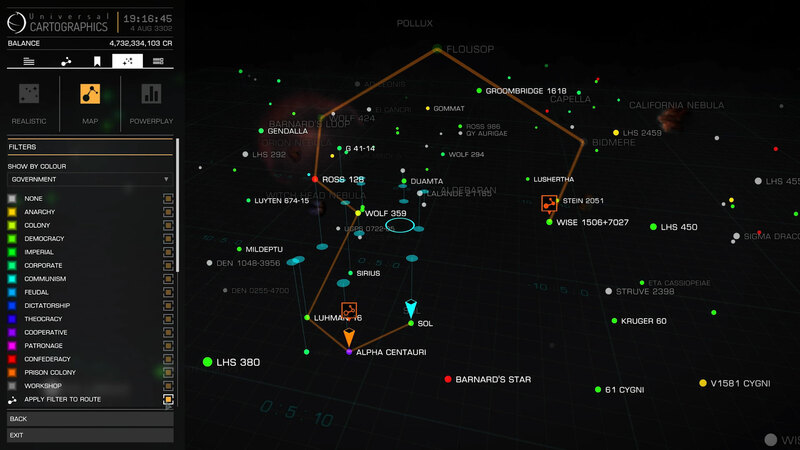 Lots of green dots on the galaxy map. There's more than a few CMDRs on their way out or back the the new bubble. I plan to be back by GameCon, so watch this space for all the 2.2 (and other) Elite news as I get it!